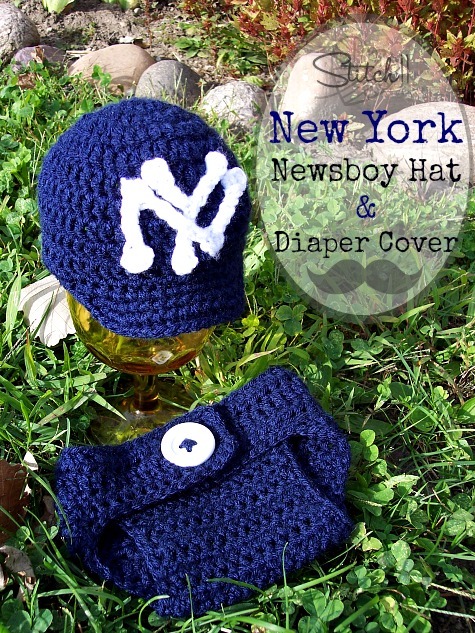 An old friend of mine contacted me with this New York newsboy hat and diaper cover request. I used my own (free) >Newborn Newsboy< hat crochet pattern. Below you will find the N and Y crochet pattern. The diaper cover can be found at >Crochet by Jennifer’s Ravelry account<. It is a paid pattern but well worth those few bucks! She gives plenty of measurements to help you make sure everything is coming out the right gauge. The pattern is well written and simple to follow! I couldn’t be more happy with the outcome of the diaper cover! I have followed a free pattern for one in the past but it didn’t turn out as perfect as this one. Using a 5 MM crochet hook and white Medium/Worsted Weight yarn. Part 1: CH 18. Skip 1 CH. 2 HDC into next CH. CH 1, Slip stitch into same CH. Slip stitch into next 5 CH. CH 1, HDC into same CH. CH 1, Slip stitch into same CH. Part 2: Slip stitch into next 6 CH. CH 1, HDC into same CH. CH 1, Slip stitch into same CH. Part 3: Slip Stitch into last 5 CH. CH 1, 2 HDC into same CH. Part 4: Finish off leaving long tail. You will need to twist the piece while attaching it to make the N shape point back up. Part 1: CH 8. Skip 1 CH. HDC into next CH. CH 1, Slip stitch into same CH. Slip stitch into next 3 CH. Part 2: CH 5, Skip 1 CH, HDC into next CH. CH 1, Slip stitch into same CH and back up 3 more CH. Slip stitch into the same CH you slip stitched into last in part 1. Part 3: Slip stitch into last 3 CH. CH 1. HDC into same CH. Part 4: Finish off leaving long tail. Attach to the hat using the photo (or google) as a guide. Cute little set! 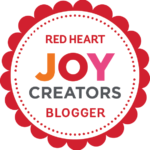 I also enjoy Jennifer’s baby patterns – easy to follow!